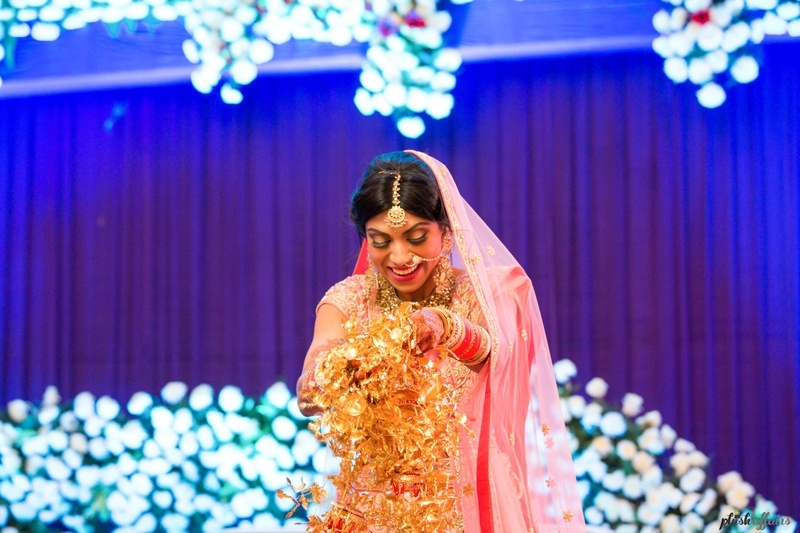 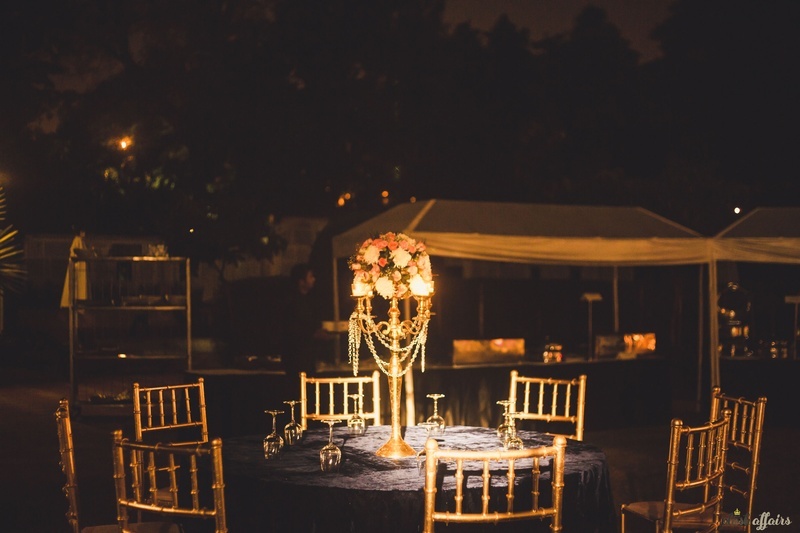 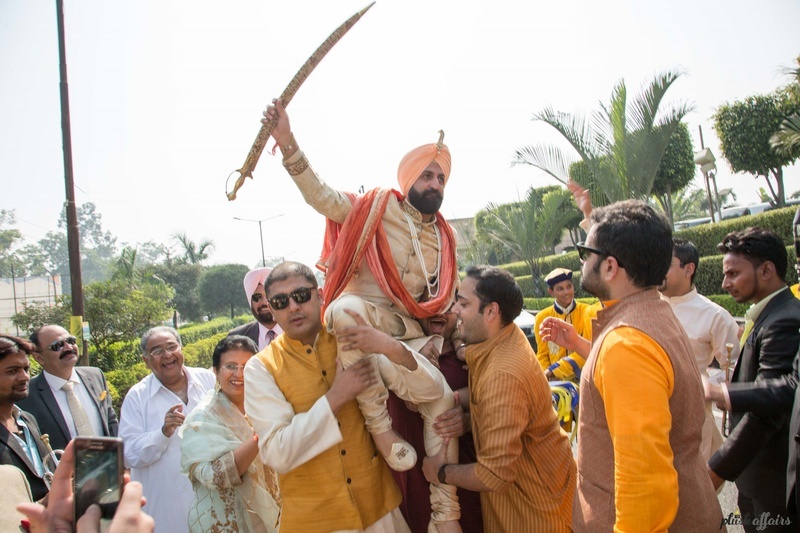 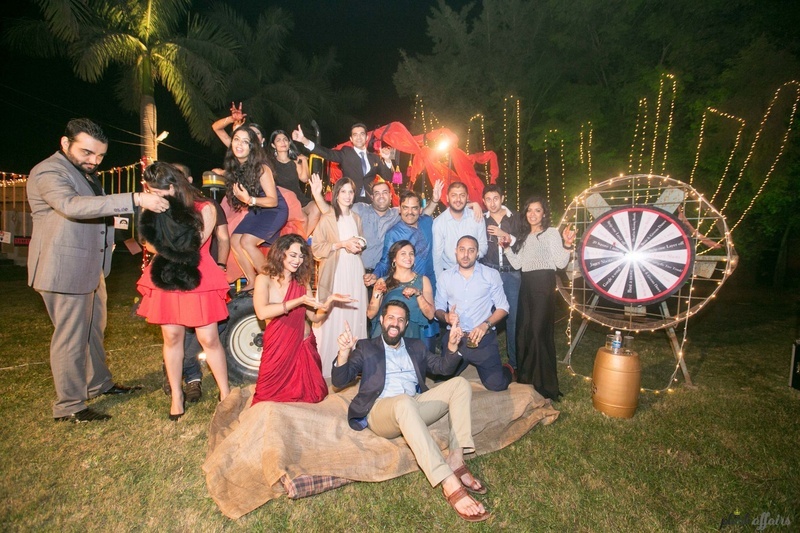 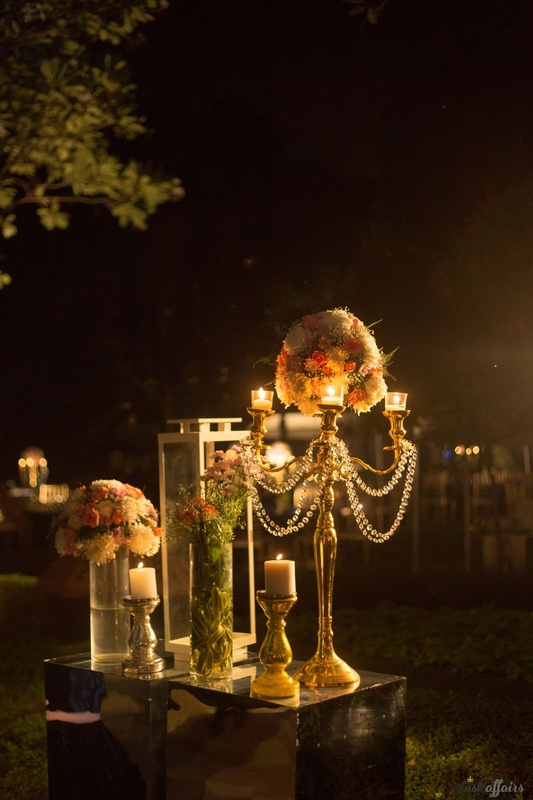 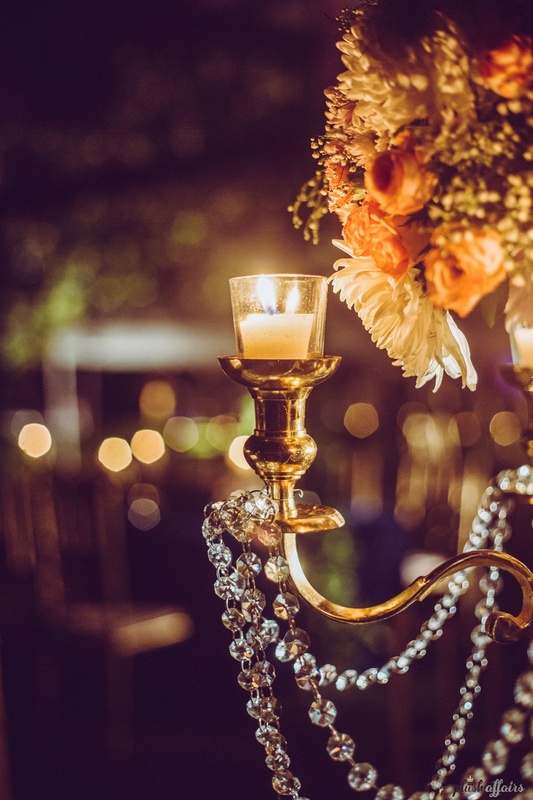 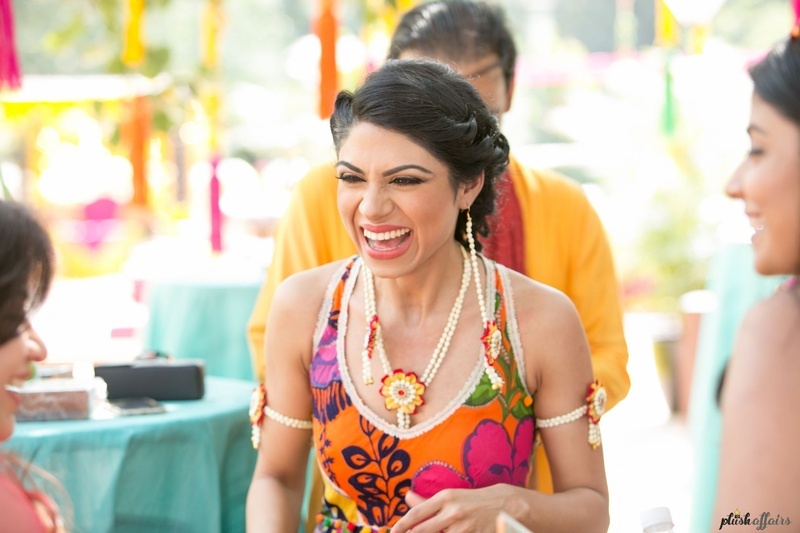 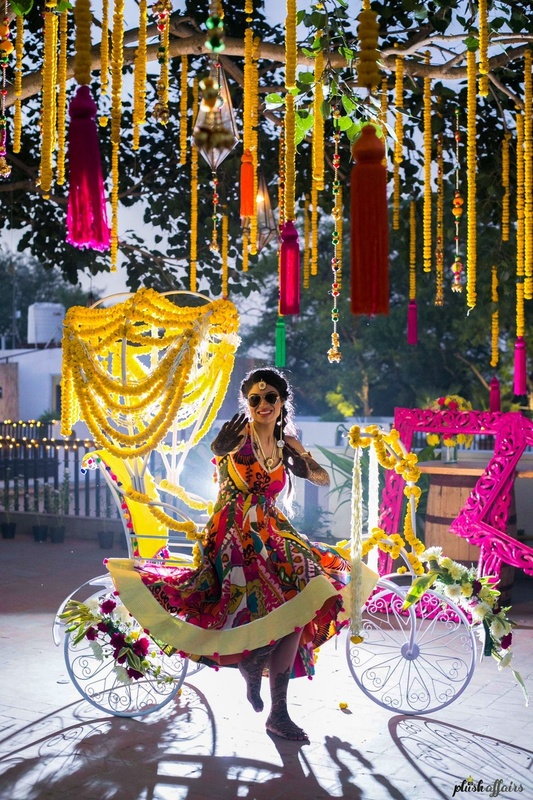 This wedding was all about tons of fun, unbounded colour and of course, limitless love. 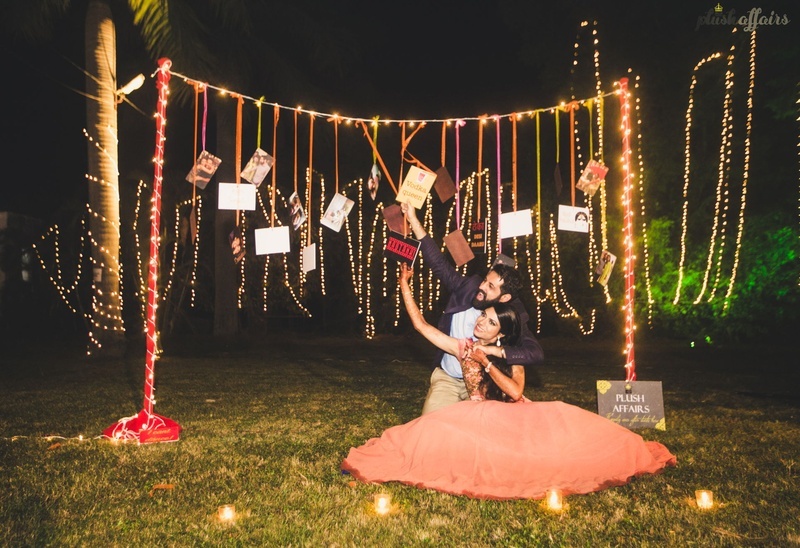 This wedding was all about tons of fun, unbounded colour and of course, limitless love. 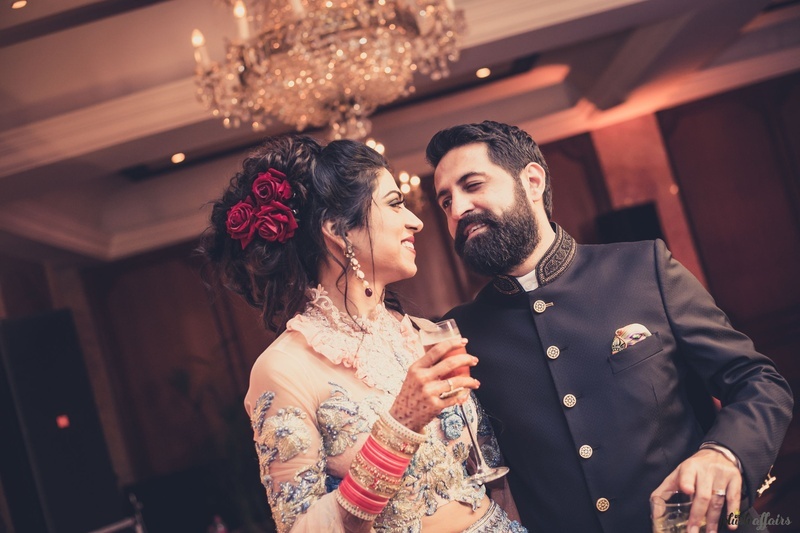 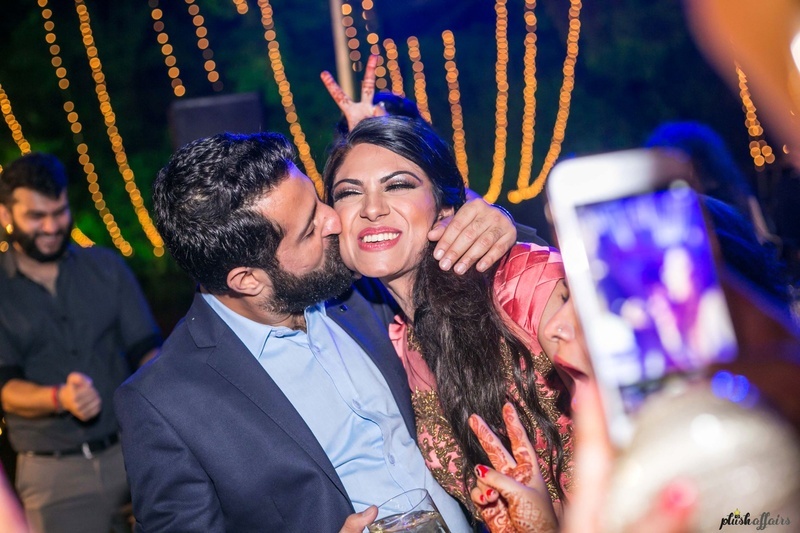 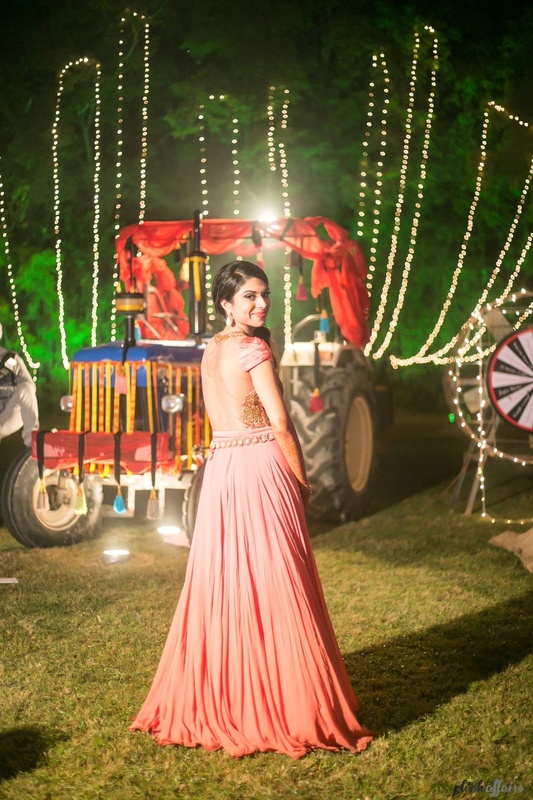 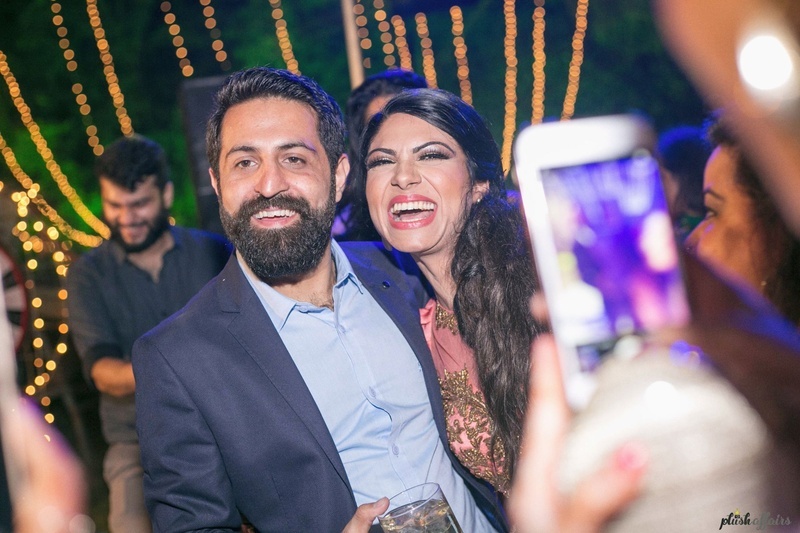 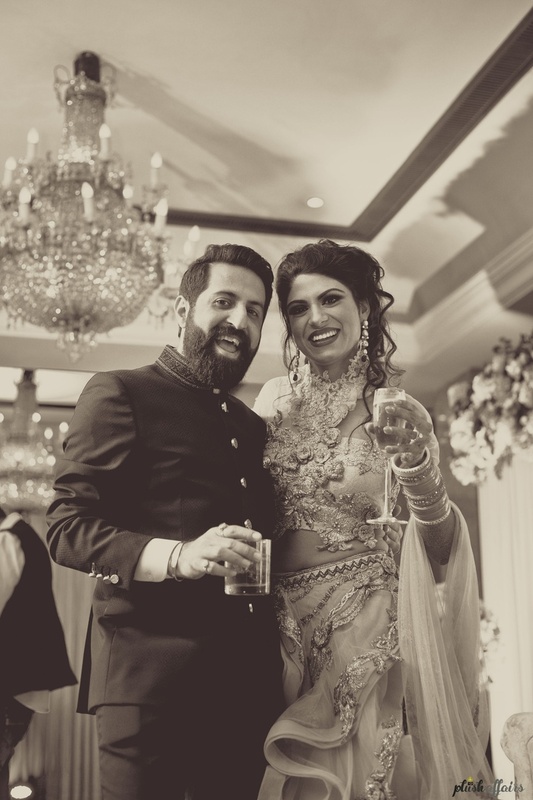 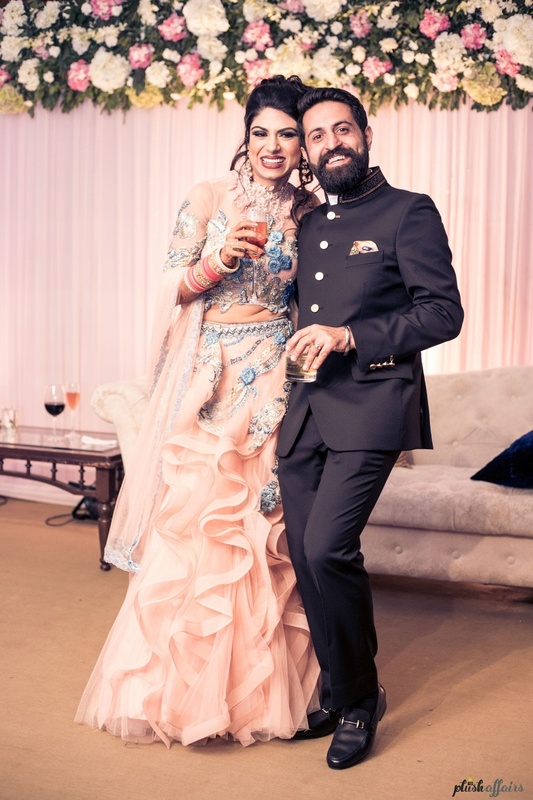 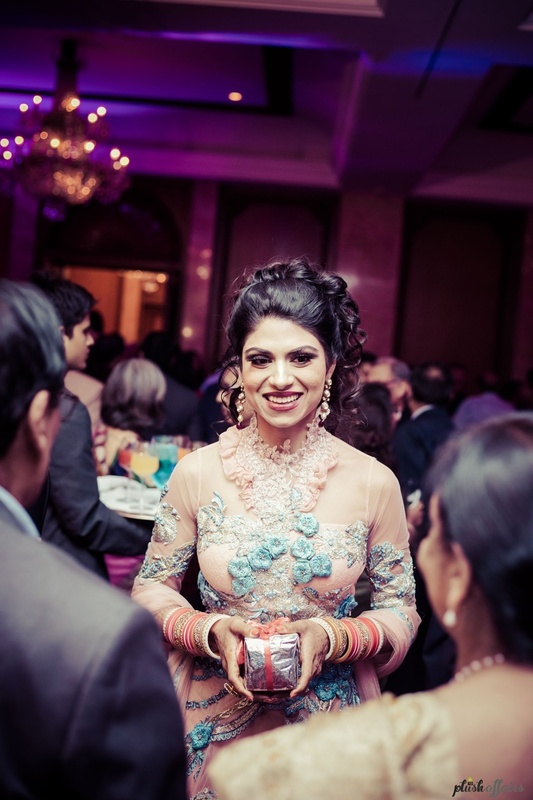 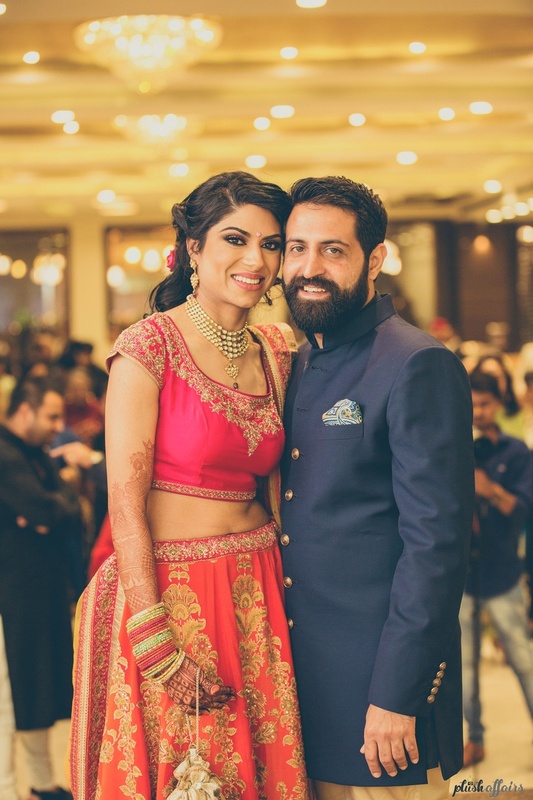 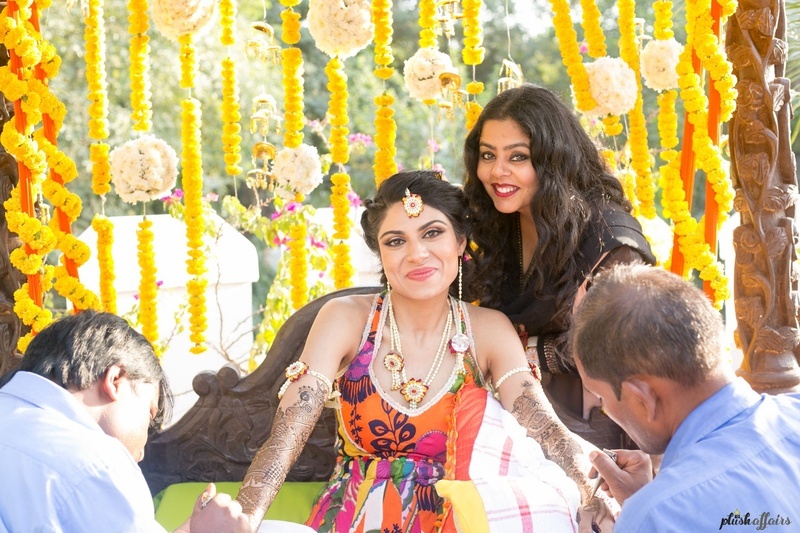 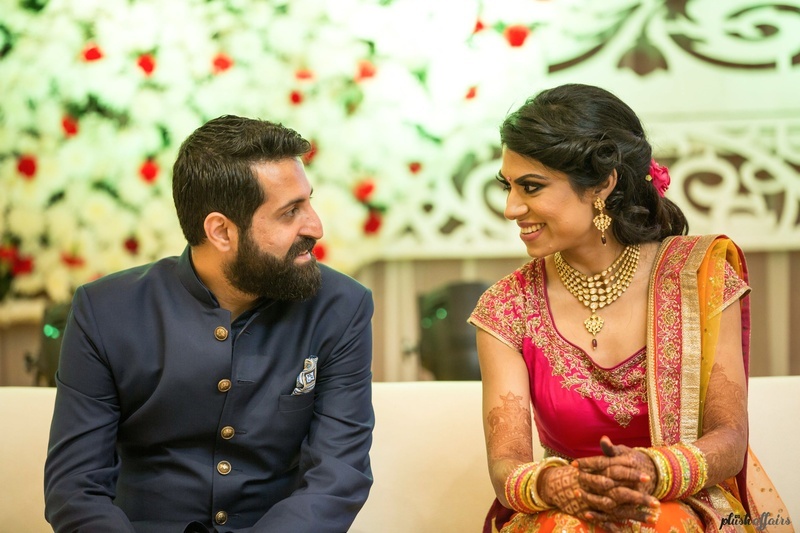 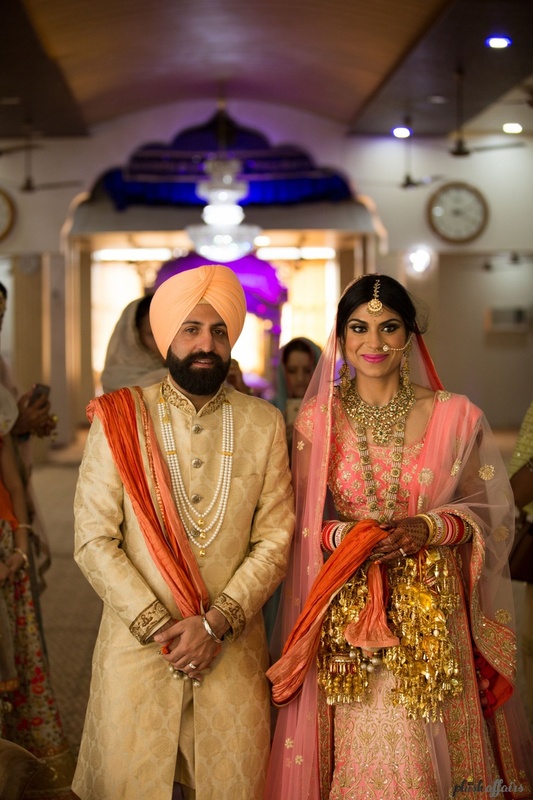 Sonali, our beautiful Delhi bride stole our hearts with how brilliantly she pulled off each of her gorgeous outfits. 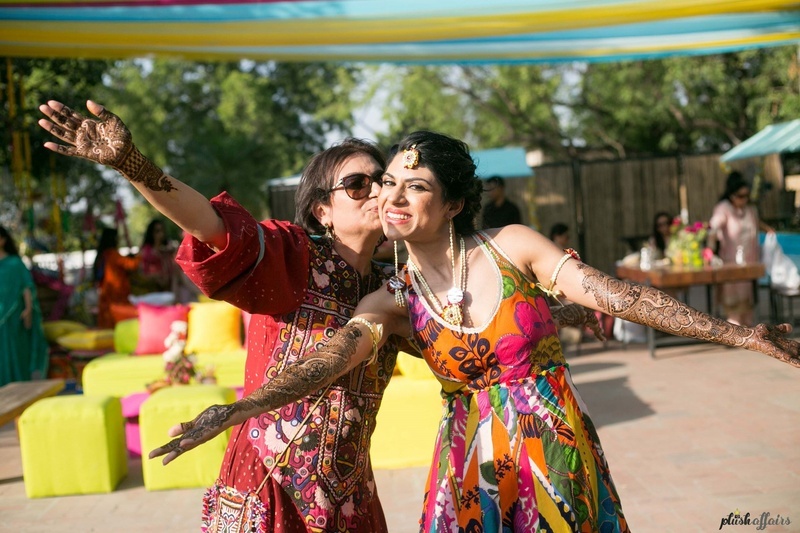 We also loved the vibrant mehndi decor and all the fun props. 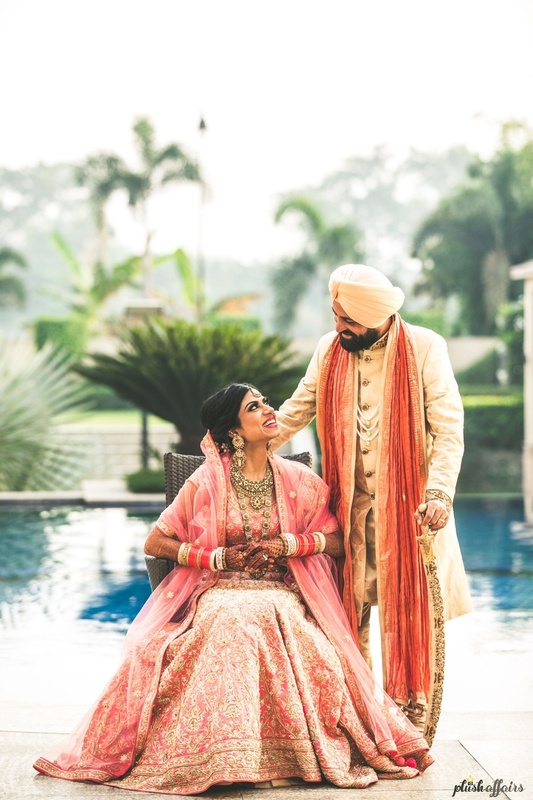 What to look out for: her pretty pink wedding lehenga as well as the stunning jewellery that consisted of gold, diamonds, jade and pearls! 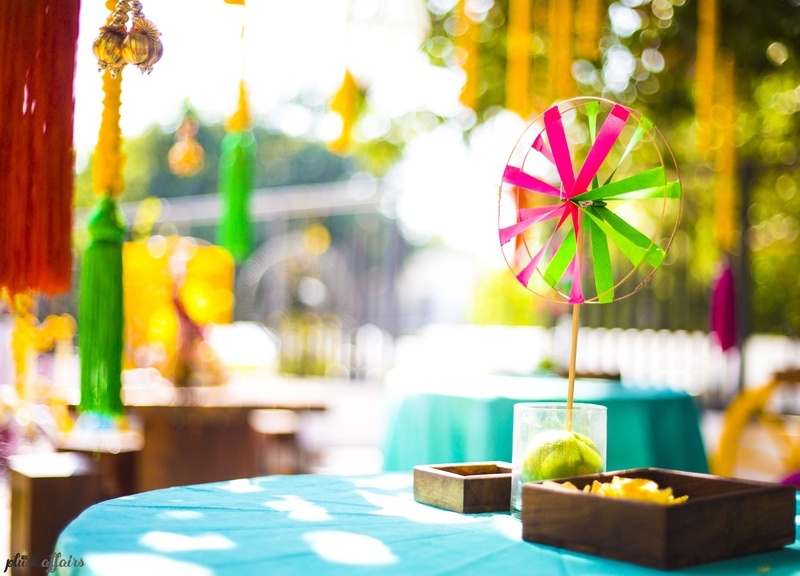 Colorful vibrant decor for the mehendi ceremony held in Delhi. 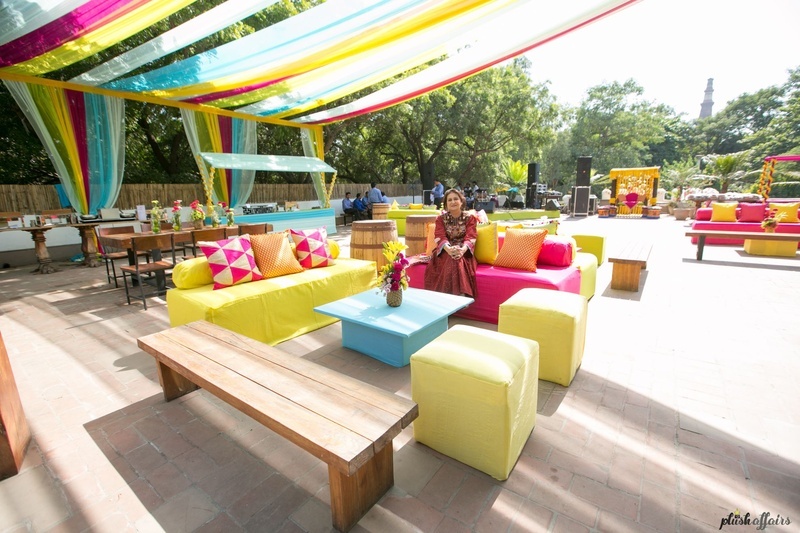 Colorful seating arrangement and drapes decor for the mehendi ceremony. 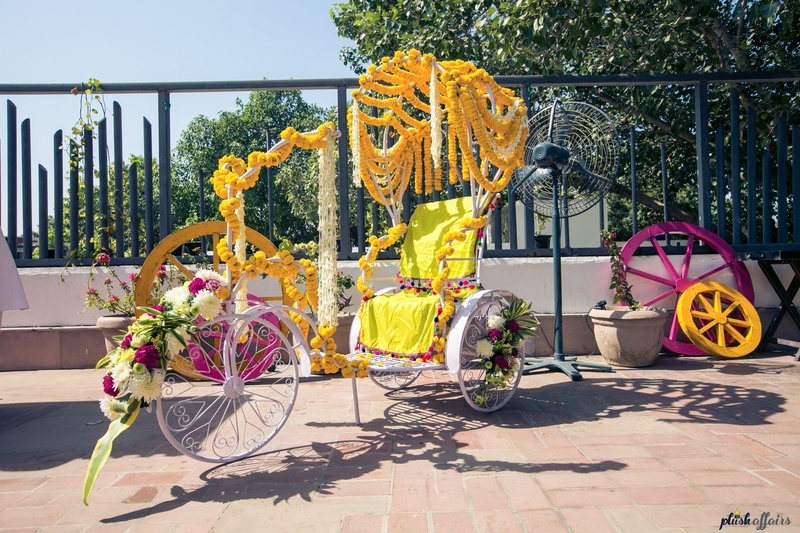 Florally decorated cycle rickshaw photobooth at the mehendi ceremony. 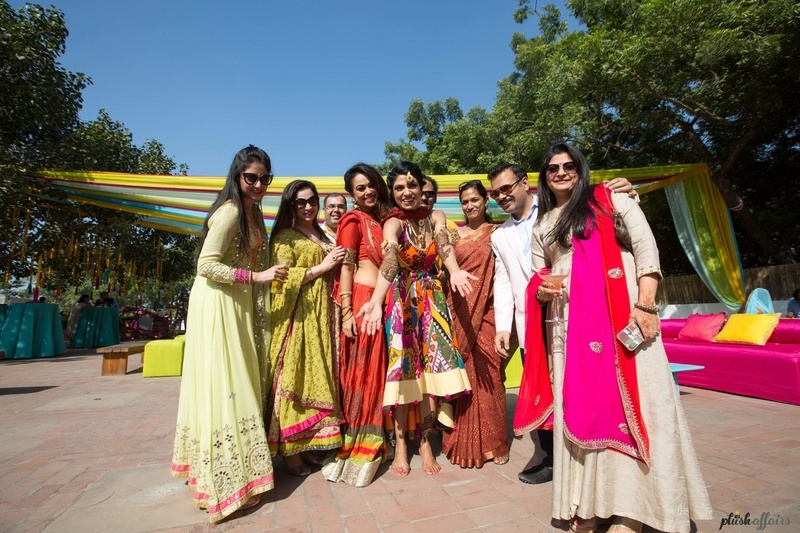 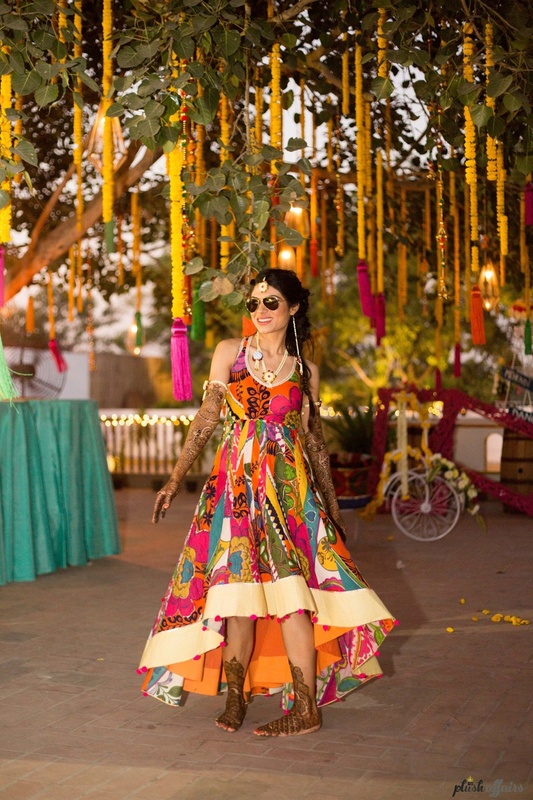 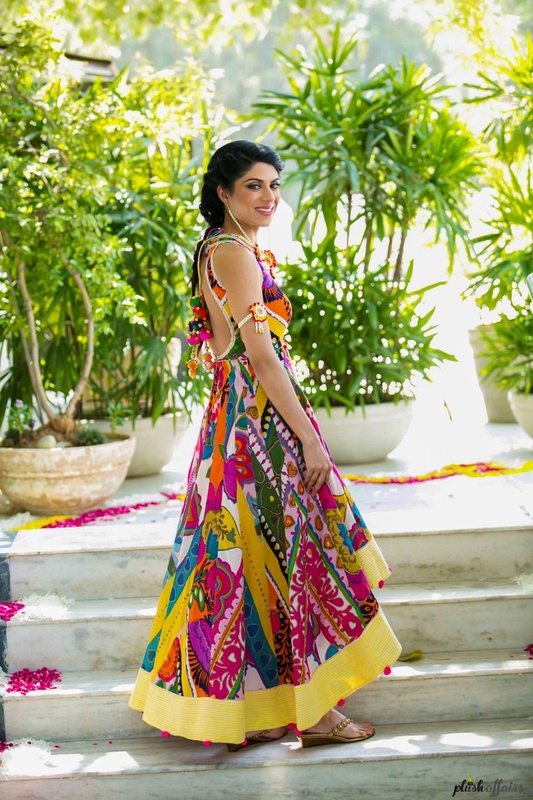 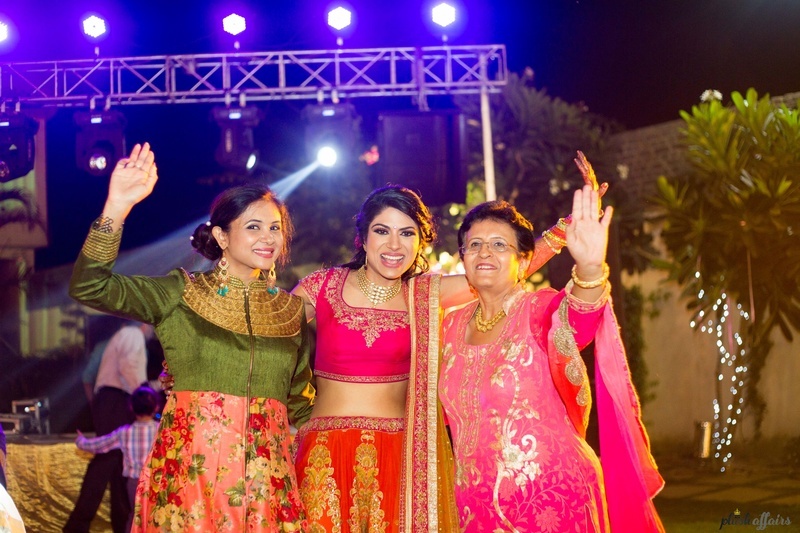 Sonali dressed up in vibrant colorful full dress for the mehendi ceremony. 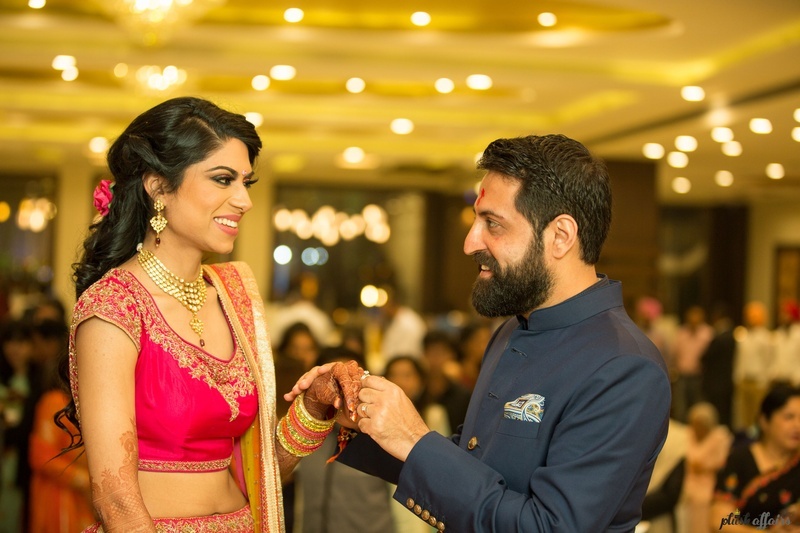 Decked up in pretty minimal floral jewellery for the mehendi ceremony. 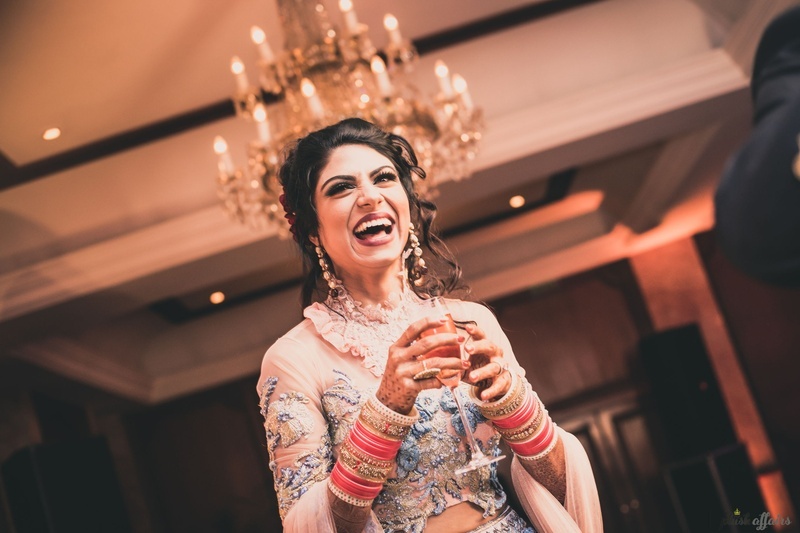 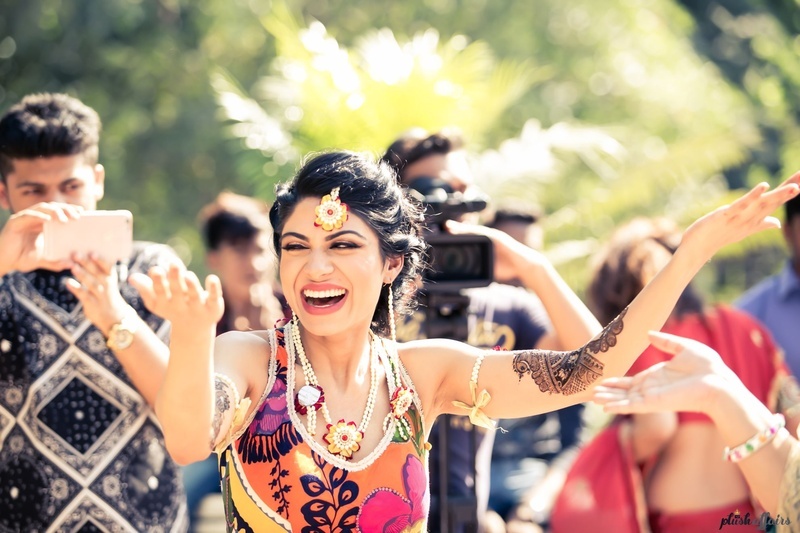 Cheerful bride on her mehendi ceremony ! 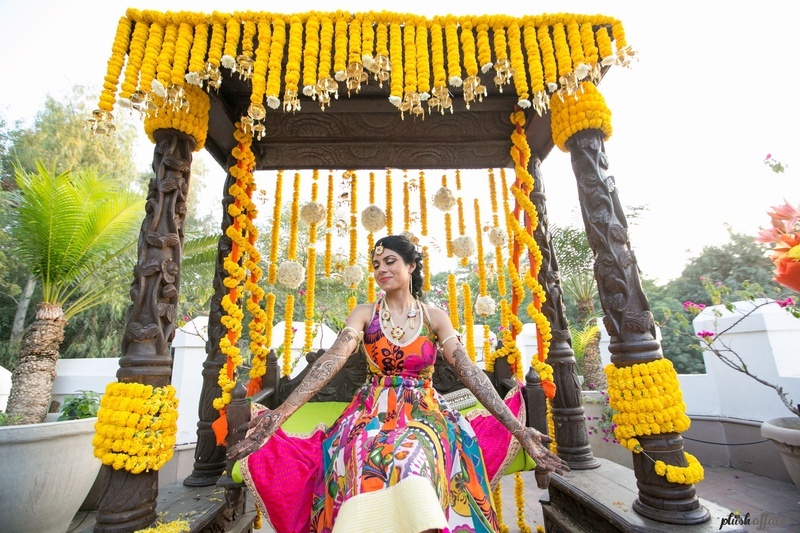 Cheerful bride adorned in pretty floral jewellery and intricate bridal mehendi ! 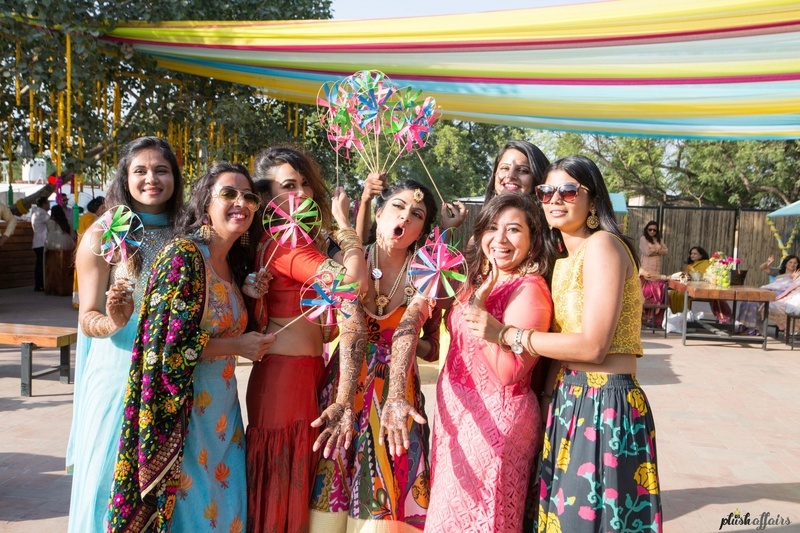 Bride and her bride's gang on her mehendi ceremony. 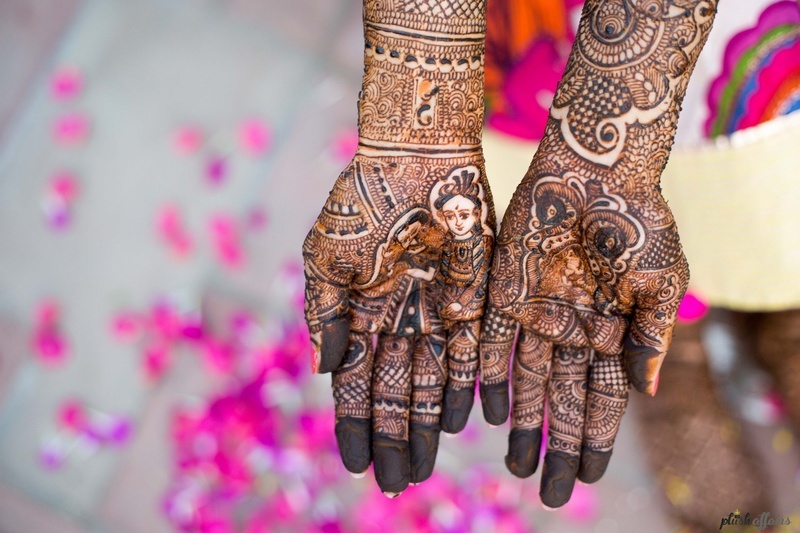 Hands filled with intricate bridal mehendi with bride and groom motifs in the middle. 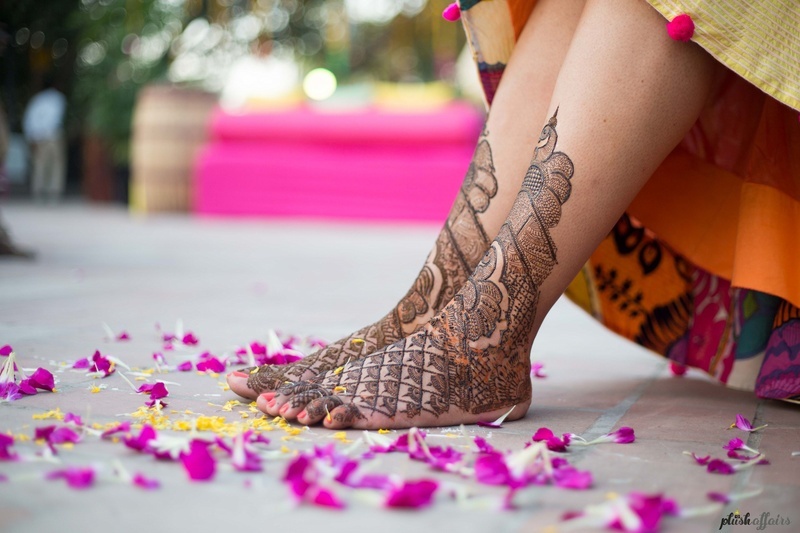 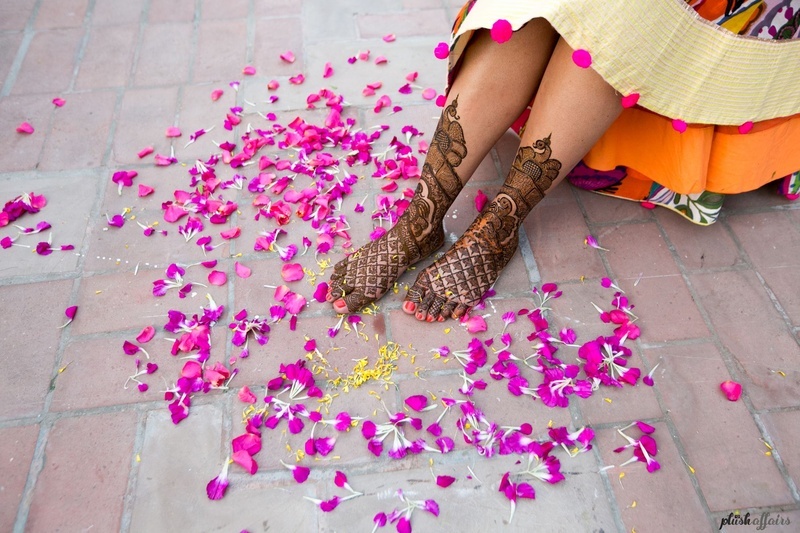 Feet filled with bridal mehendi designs. 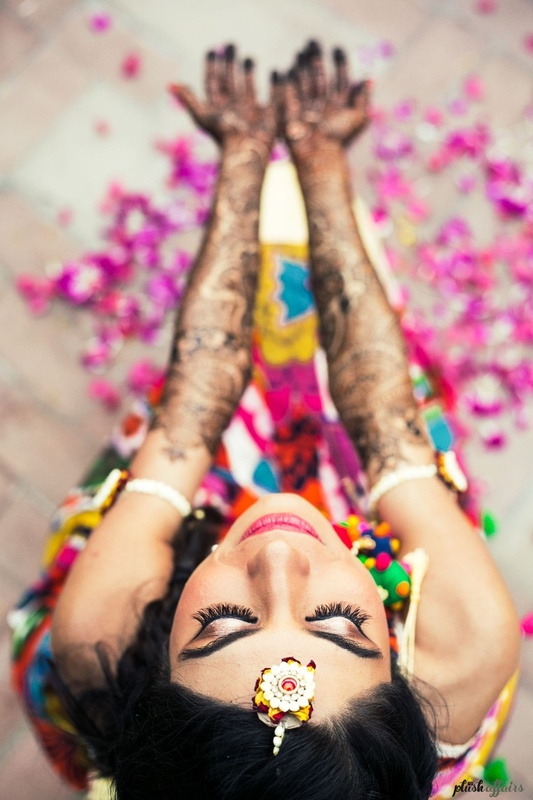 Bridal mehendi photography ideas by Plush Affairs. 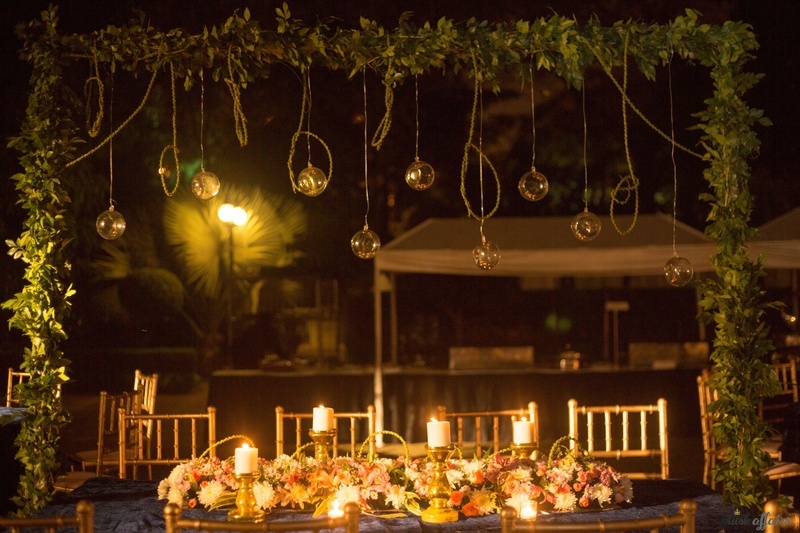 table setting decor for the engagement ceremony. 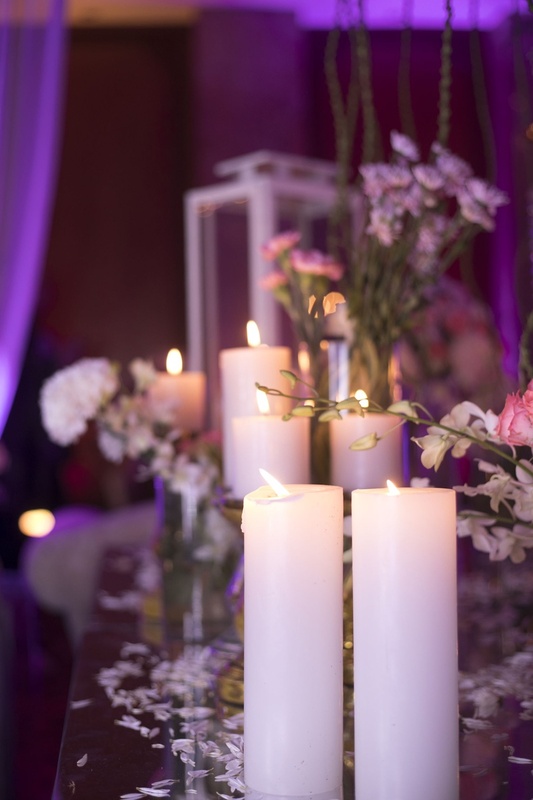 Floral and candle table setting for the engagement dinner . 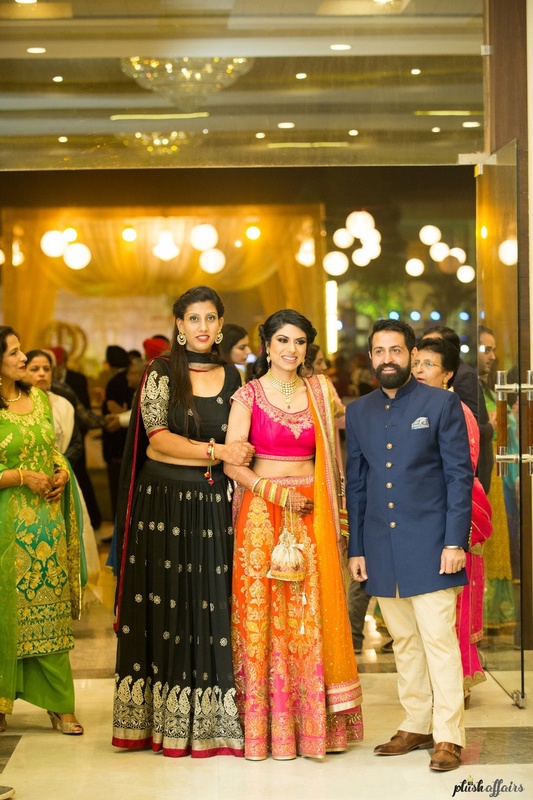 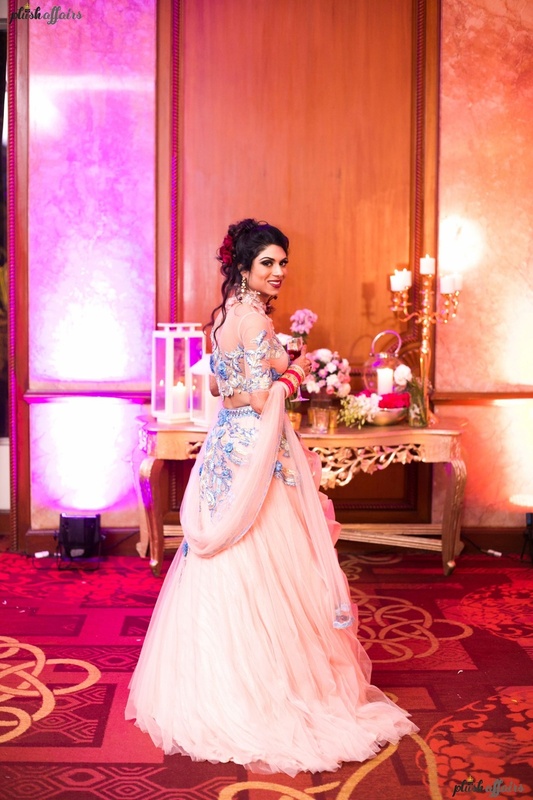 Sonali dressed up in a pink and orange ombre lehenga filled with intricate gold work by Ritu Kumar. 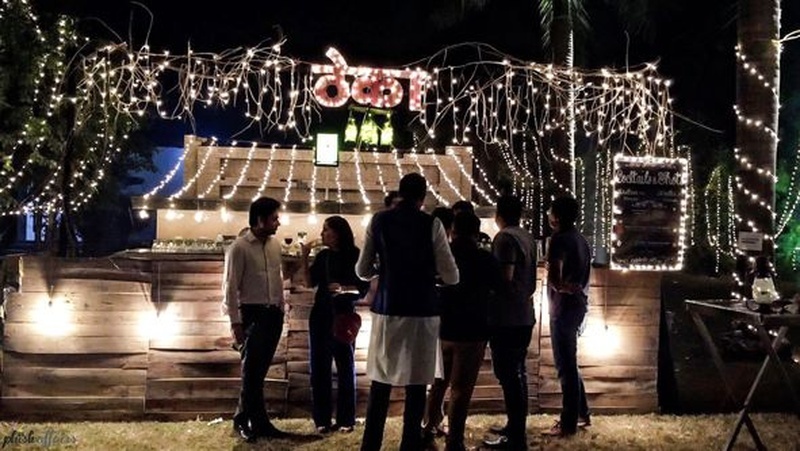 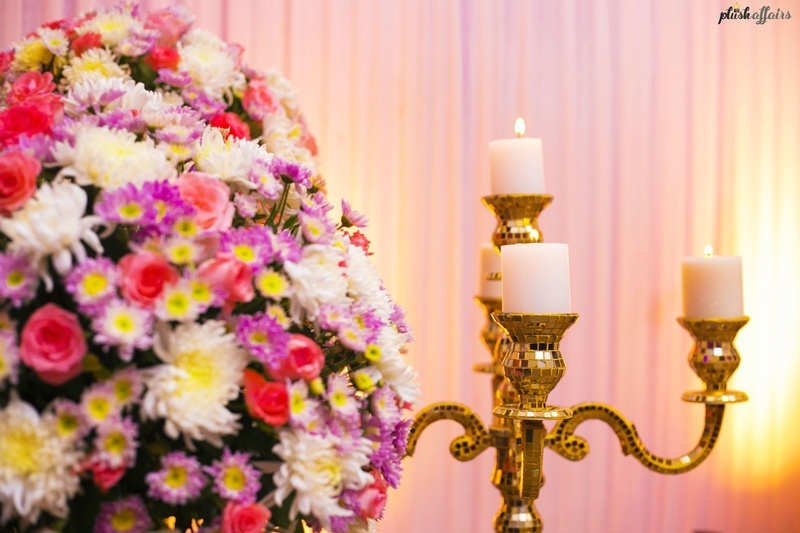 Bar decor at the sangeet ceremony held at Hotel Venus, Rudrapur. 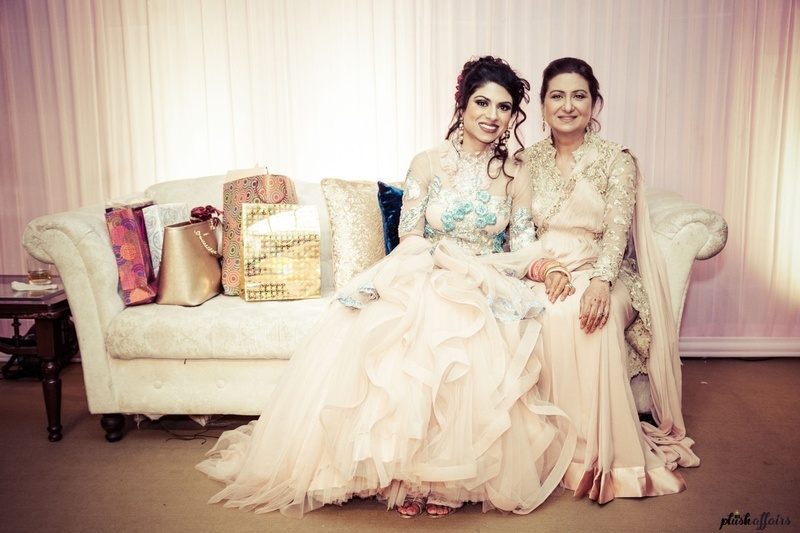 Sonali dressed up in pastel pink gown by Asiana couture for the sangeet ceremony. 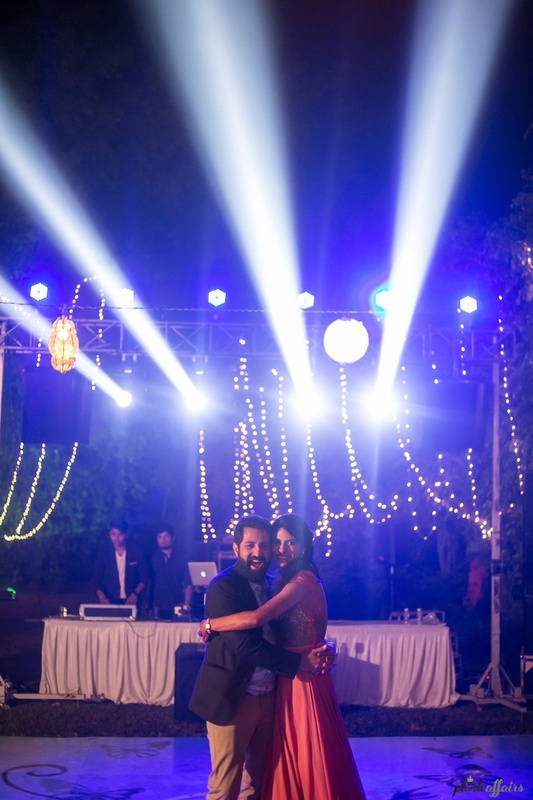 Sonali and Raunak at a performance at their sangeet ceremony. 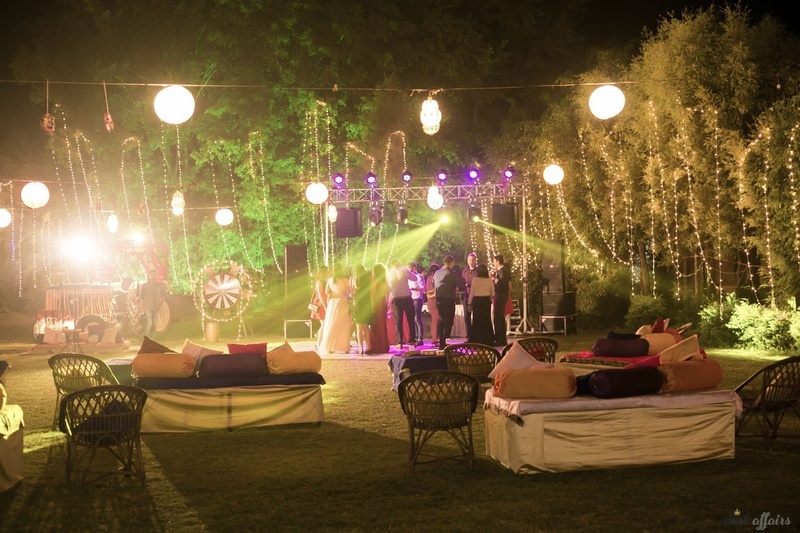 Fairy lights decor for the sangeet ceremony. 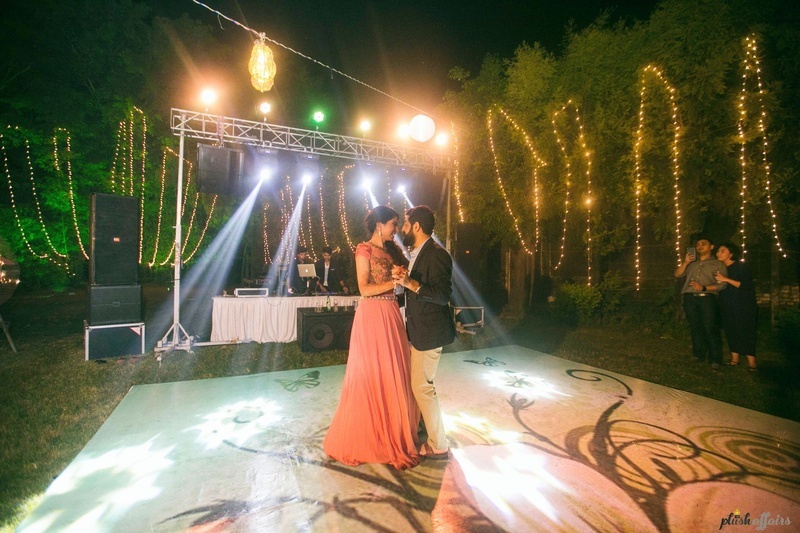 Fairy lights backdrop decor at the sangeet ceremony. 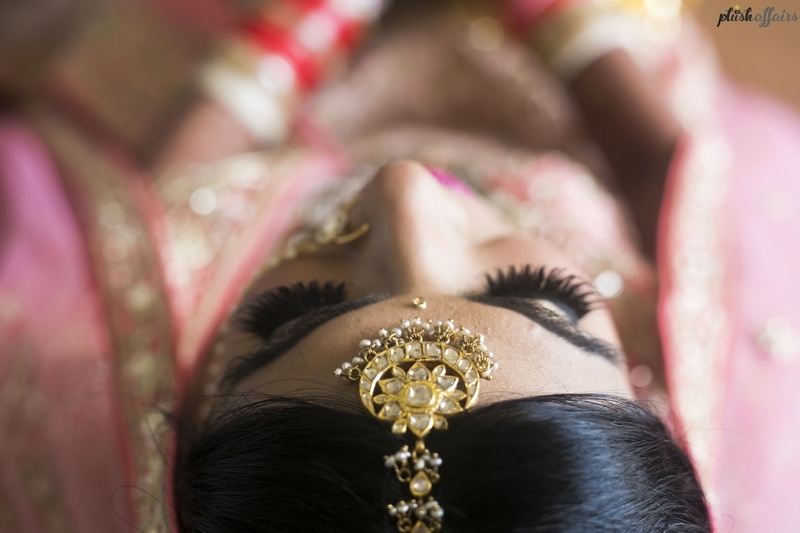 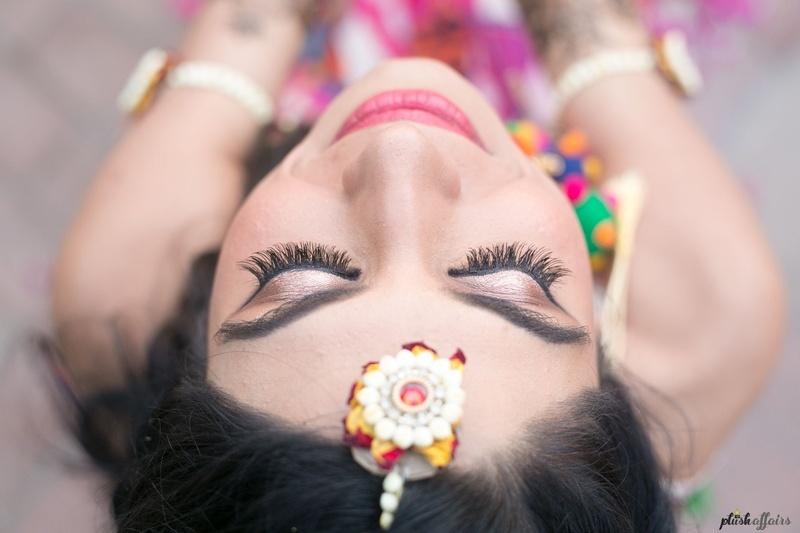 Bridal maang tikka along with that lustrous eyelashes and on point bridal makeup! 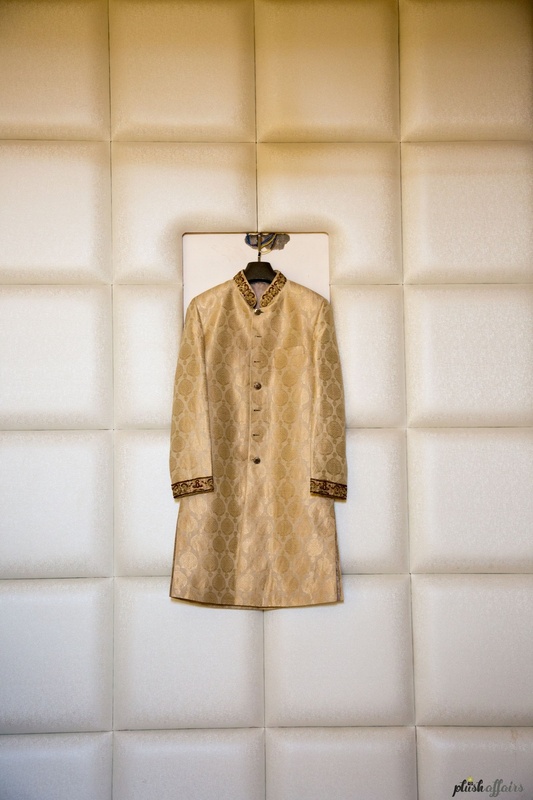 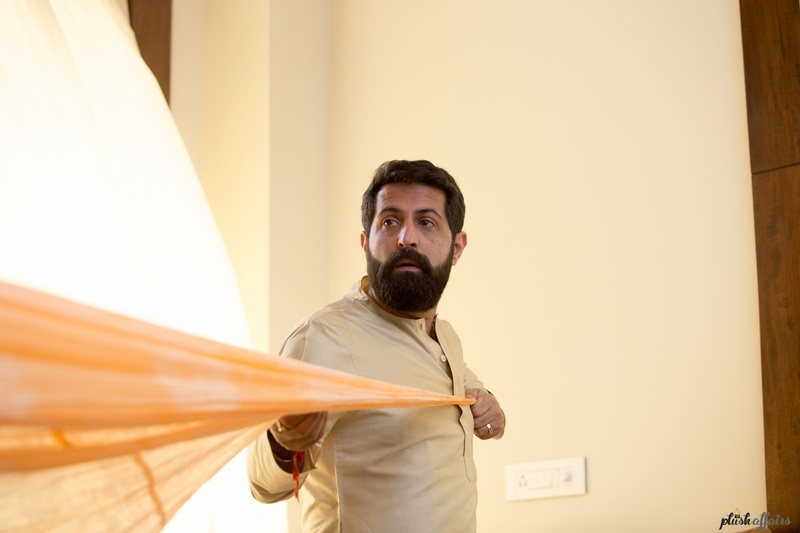 Grooms sherwani by Diwan Saheb. 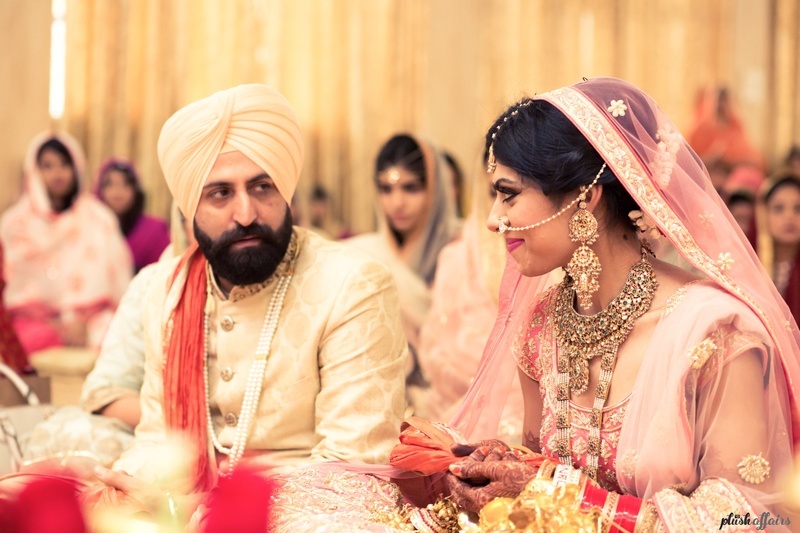 Raunak dressed up in beige and gold sherwani pared with a pastel peach turban and styled with multi stringed pearl necklace. 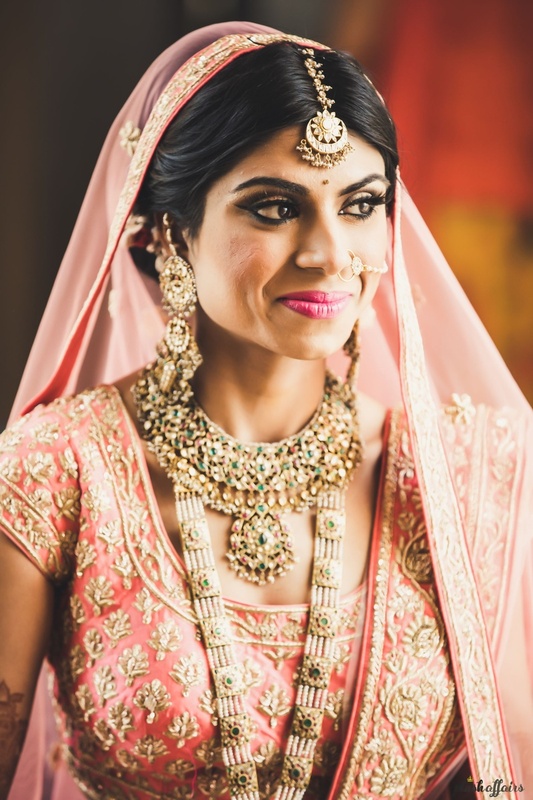 Adorned in beautiful meenakari jewellery for the wedding day. 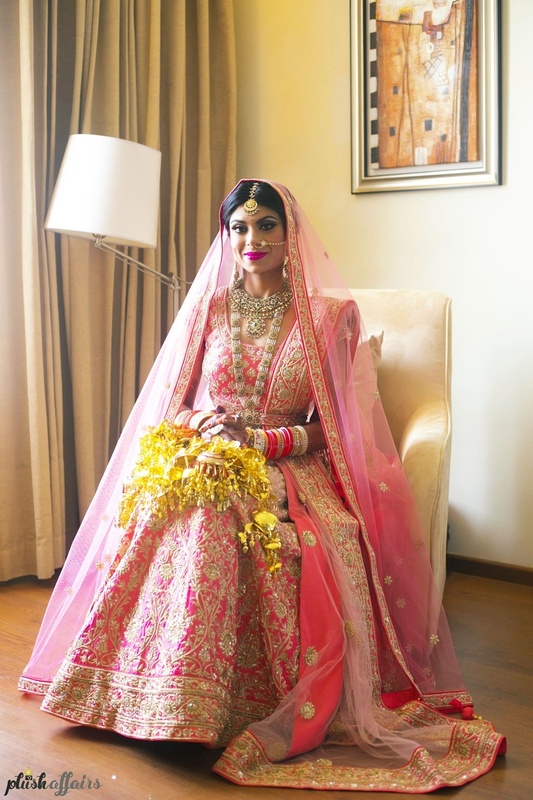 Dressed in pastel pink lehenga with heavy gold work styled with meenakari bridal jewellery. 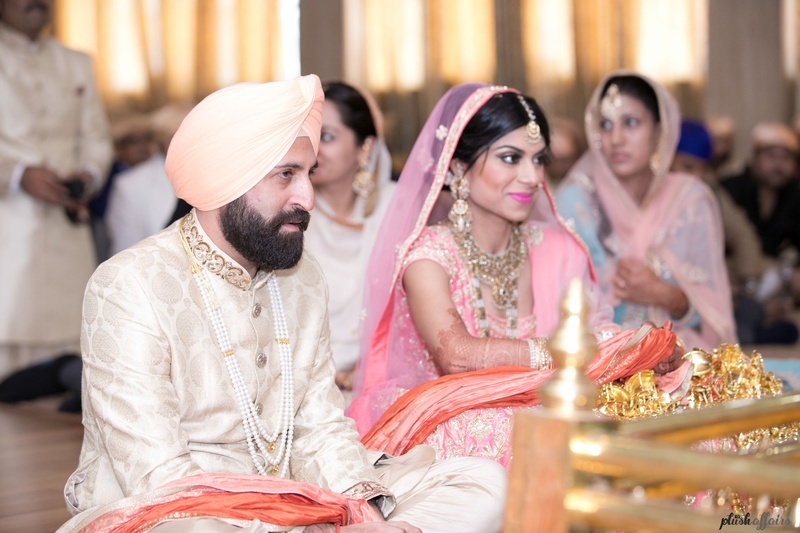 Bride and groom color coordinated in peaches and pinks. 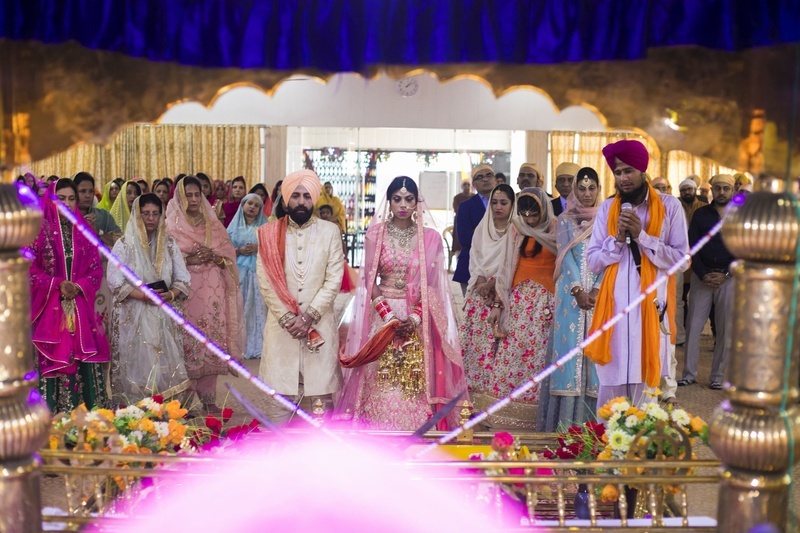 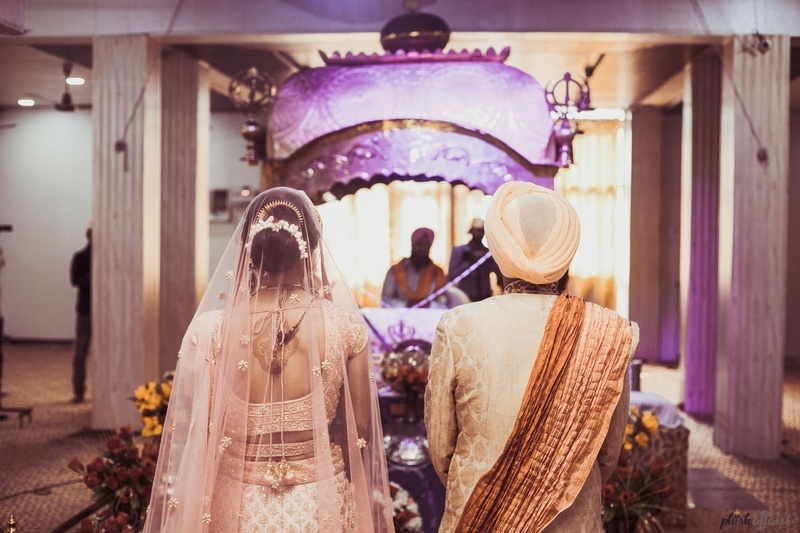 Sikh wedding held at Gurudwara! 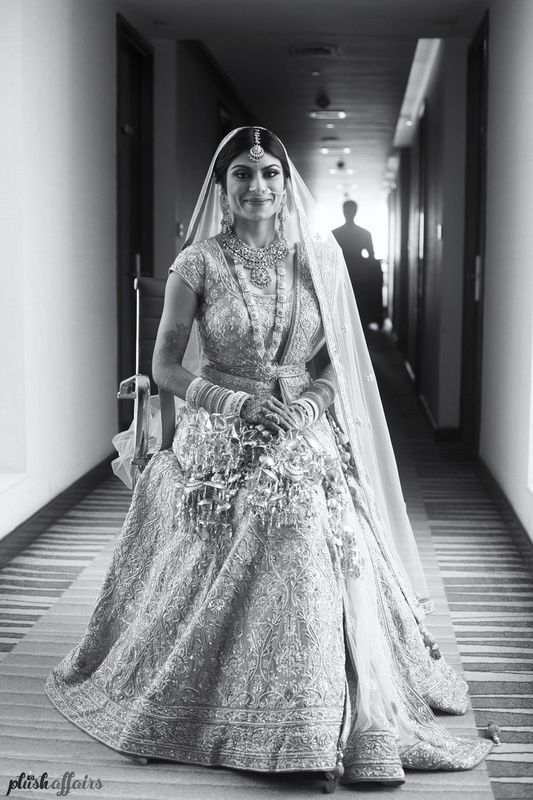 Beautiful bridal shot by ace photographer, Plush Affairs! 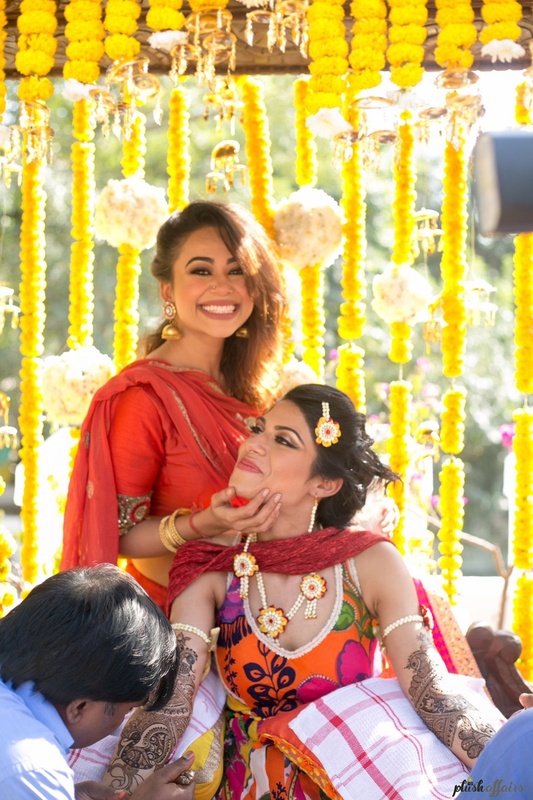 Showering kaleere on her bridesmaids. 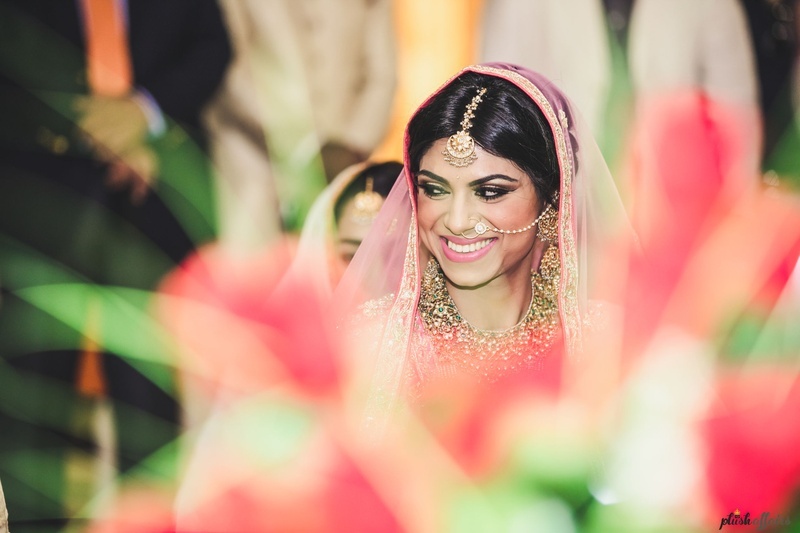 Bride and groom wedding photography by Plush affairs. 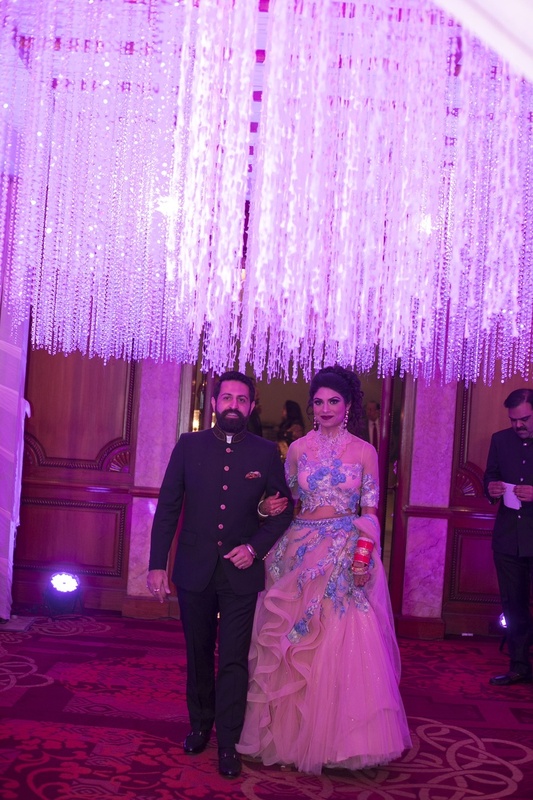 Entering their reception ceremony held at Taj Mahal Hotel, Delhi. 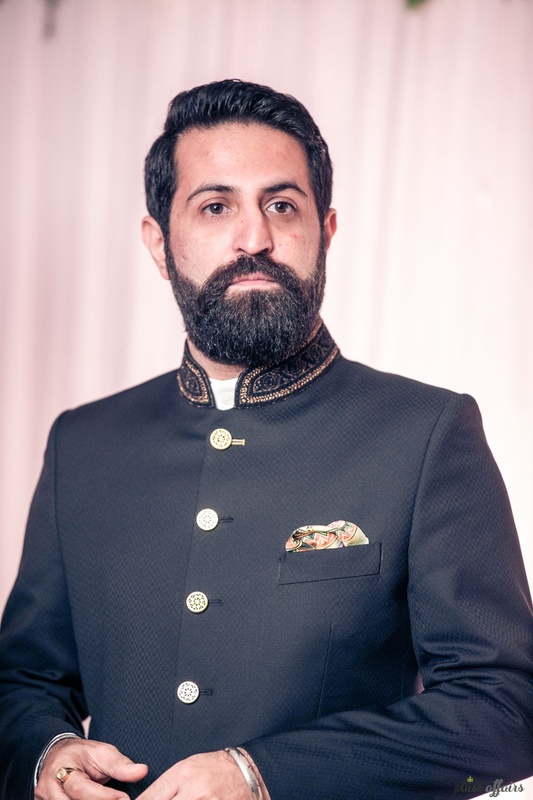 Groomswear reception outfit by Diwan Saheb. 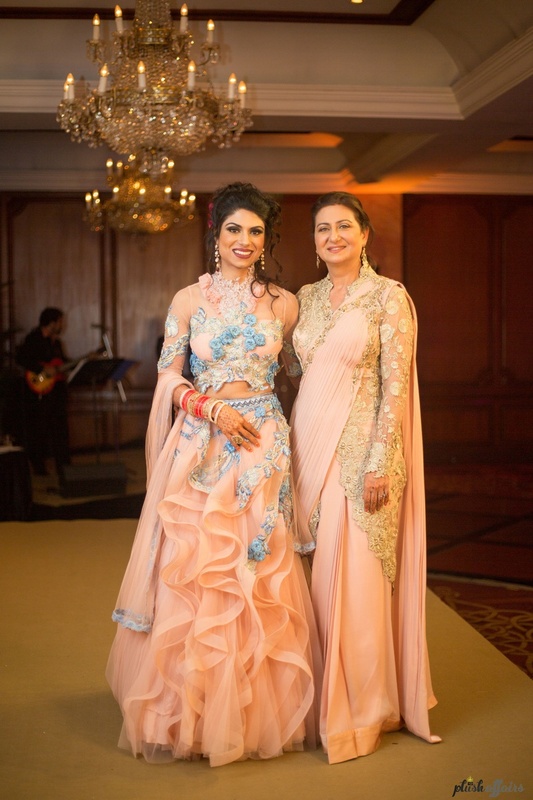 Dressed up in a fairy style wedding gown by Anjalee and Arjun Kapoor for the reception ceremony.